Mix and Chic: Home tour- A small and stylish loft! What are your thoughts? 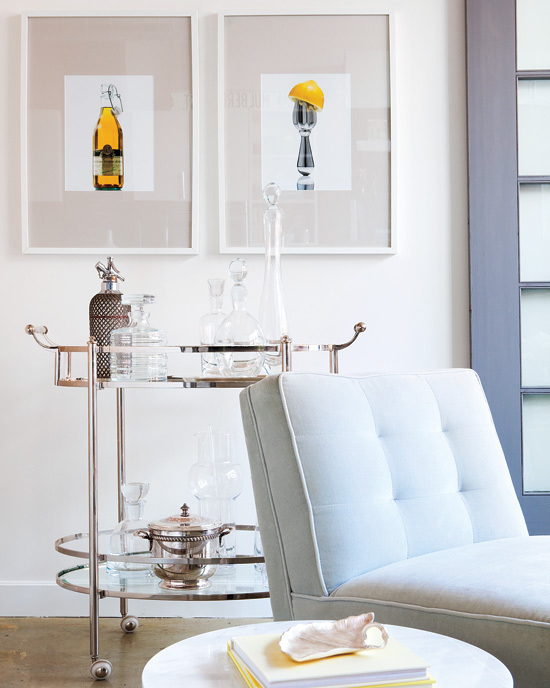 I think the designers are smart to utilize the soaring high ceilings by installing shelves for storage and display areas. They also apply the same color palette of yellow, gray and neutrals throughout the loft to create flow and cohesiveness. Any favorite room? Wow, I just fell in love with the office! The desk arrangement is beyond perfect! Thanks Jessie for your kind words and support, you really are a great blog friend!!! I love the brick in the house. It looks both chic and rustic! Love that desk and the first shot of the living room - gorgeous! Lovely! 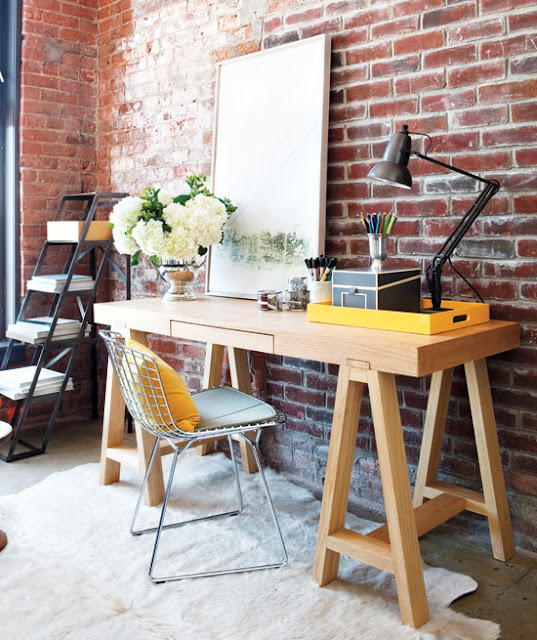 The office/work space is my fave with the amazing exposed brick! My word, look at the bedroom with those adorable dog pictures! 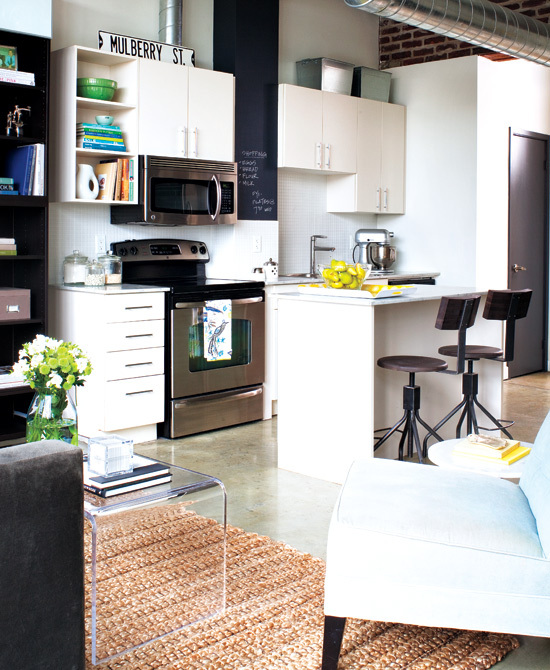 This is just the cutest loft, I love what they've done with the space! 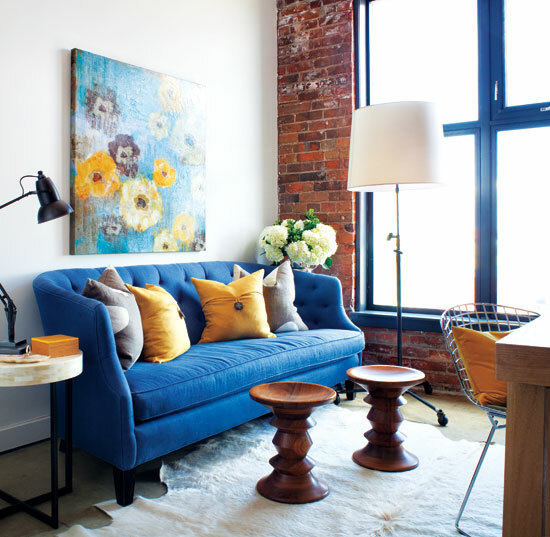 LOVE, LOVE, LOVE that blue sofa! The office area is amazing, too. Great tour, Jessie! Thanks for sharing with us. OMG...I am drooling over the combination of blue and brick....breathtaking!! !